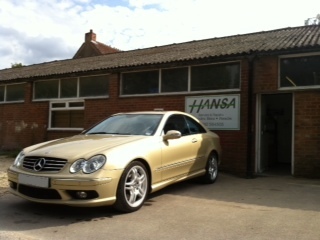 Hansa Engineering are situated on the Battledown Industrial Estate, just off Hales Road in Cheltenham. Saturday 09:00 a.m. to 12:30 p.m.
From Cheltenham town centre take the A40 towards Charlton Kings. At the junction with Hales Road, turn left towards Prestbury, then take the 5th right turn into King Alfred Way. Saxon Way is on the left. From the Golden Valley by-pass keep on the A40 towards Cheltenham, then follow through signs to Oxford and Charlton Kings - then directions as “from Cheltenham”. Exit the motorway at junction 11 and head towards Cheltenham - then directions as “from Gloucester”.